"Bilaine did such a good job I thought the heat was still..."
Replaced poor functioning furnace with a Lennox furnace and air conditioning unit. Looking at replacing outdoor condenser and indoor evaporator for better AC. I would like to make my house more energy efficient by adding insulation in attic and possibly in crawl spaces. Thanks. I need help setting up a Honeywell ProVision 8000. It has been installed for a while, but the previous configuration has been deleted. HVAC unit won't go on. I would like a quote to install a 1 ton cassette mini split heat pump system to serve my upstairs bonus room. Clemmons has a subtropical climate that features four distinct seasons with plenty of weather changes throughout the year. Summers can be hot and muggy, and the area's winters can create their fair share of cold, snowy weather. That's why the right kind of heating and cooling system is so important to keep your home or business comfortable through every season. Since 1952, Logan Home Energy Services has given Clemmons residents and business owners great deals on air conditioning services, HVAC system installations, heating and cooling system maintenance, and more. As a locally owned and operated HVAC company with deep roots in the local community, Logan Home Energy Services takes pride in employing factory-trained, NATE-certified technicians who care about their craft and boast decades of combined experience. From commercial HVAC services and complete home energy audits to routine filter changes and coil replacements, our professional HVAC experts can be trusted to do their work on time and on budget. We are also happy to offer value-added services like indoor air quality testing and energy-efficiency assessments. 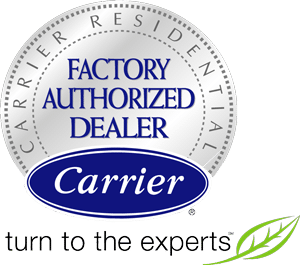 We provide 24-hour emergency HVAC services as well as money-saving annual maintenance agreements, and we offer award-winning HVAC products thanks to our long-lasting partnership with Carrier. Logan Home Energy Services is the leading heating and air conditioning company that you can rely on in Clemmons, NC and surrounding areas. Contact us today to find out more about our electrical services, home energy audits, and repair, replacement, insulation, and installation services for HVAC systems! Want to ask about getting set up for regular scheduled maintenance for a home with two units. With the a/c running, the house doesn't cool down and doesn't come out of the air vents very strong. I'm interested in getting an estimate for replacing my HVAC system. Would like your proposal to replace our residential A/C unit. Emergency Heat is turning on at Bonus Room HVAC unit during what should be normal heat condition. HVAC unit possibly low on refrigerant.